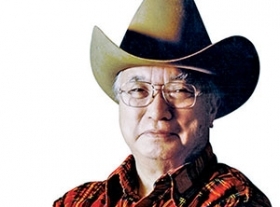 Yutaka Katayama, the fabled Nissan executive who built the Datsun brand in the western United States in the 1960s and 1970s, returned to a largely ungrateful Nissan corporate bureaucracy in Japan in 1977 to finish out his career. Back home, Katayama, who died Feb. 19 at age 105, often reminisced about his days in California. He was most proud of the extensive dealer body he built from the ground up. Katayama was revered by those American dealers because he fought for them, frequently pestering Nissan bosses in Japan with their wishes and demands. The network was made up largely of inexperienced entrepreneurs who signed on with the unknown Datsun because they believed in Mr. K, as he was known here. In his 1986 book The Reckoning, author David Halberstam wrote: "He had taken these ordinary and indeed often unsuccessful men, who had had nothing but their ambition and their willingness to take a chance." "Years later in Tokyo in his tiny office he liked to point at a map of the Western part of the United States. It was covered with little dots. 'Each dot is a millionaire I made,' he would say."